We’ve been to Niagara Falls before, but here we go again. 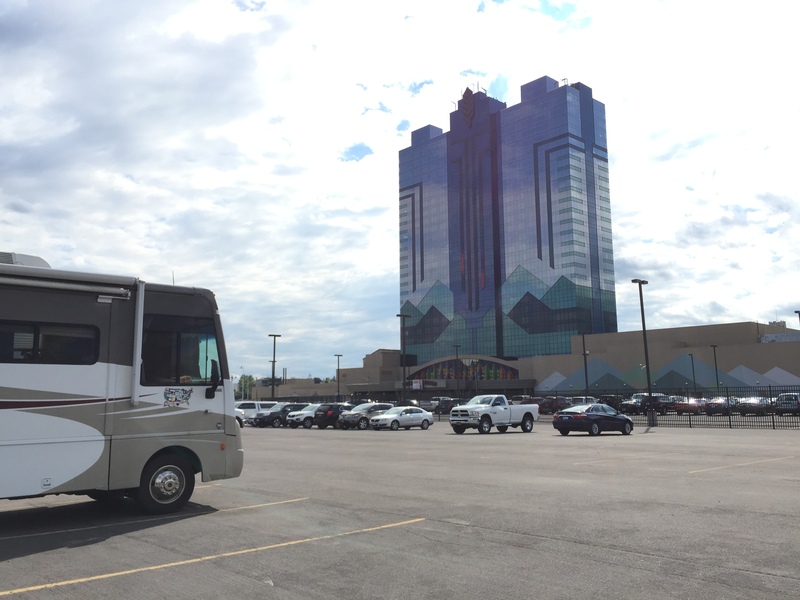 Seneca Niagara Falls Casino kindly allowed us to park free in their parking lot while we are here. It’s not far from the Falls. It’s a cool wet day, very cloudy, and it may rain. But we went to see anyway. 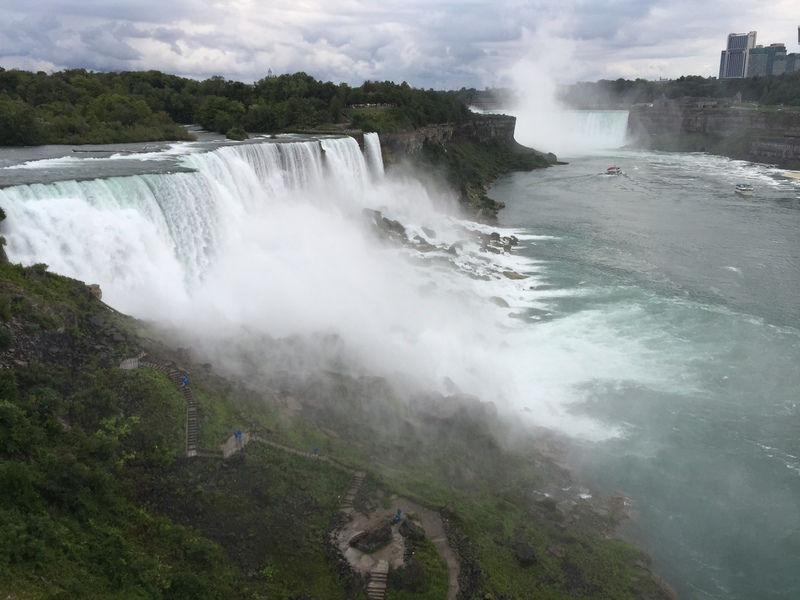 There are two main falls, the Horseshoe Falls and the American Falls. 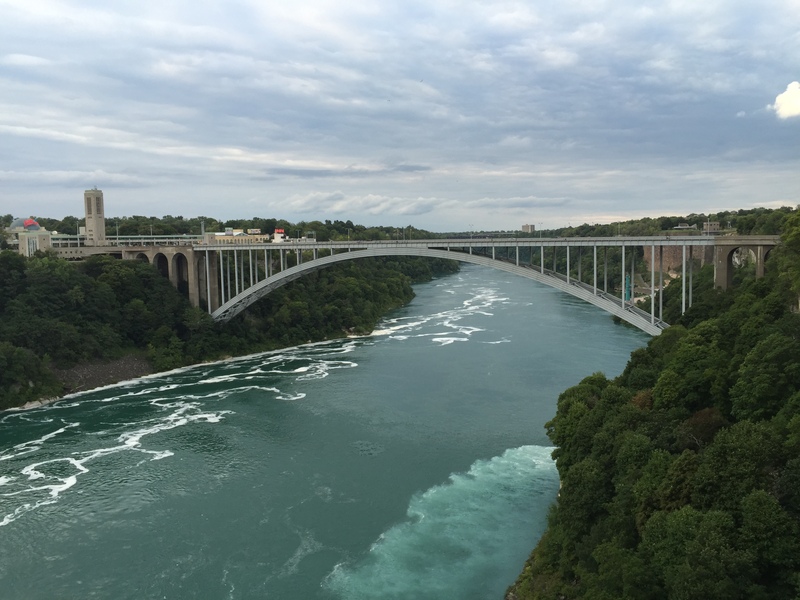 Across the Niagara River is Canada. 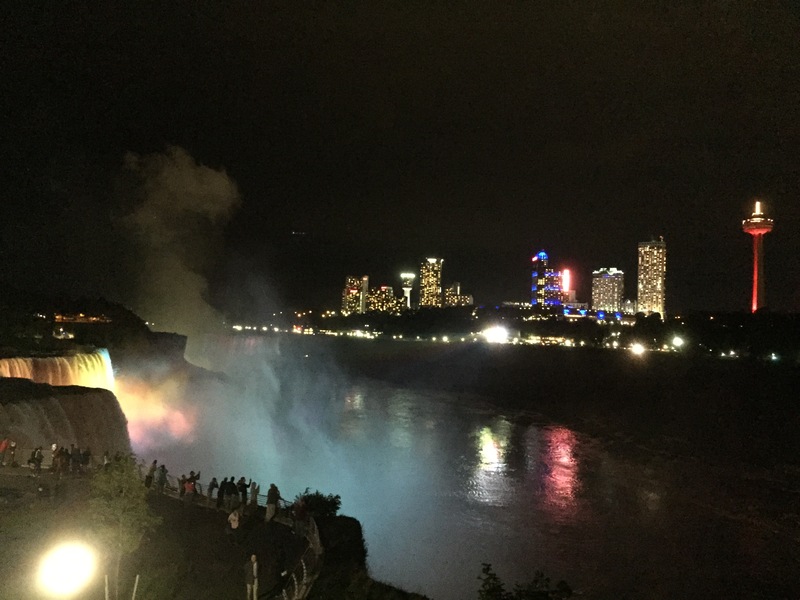 On the American side is the oldest STATE park in the nation, Niagara Falls State Park, established in 1885. 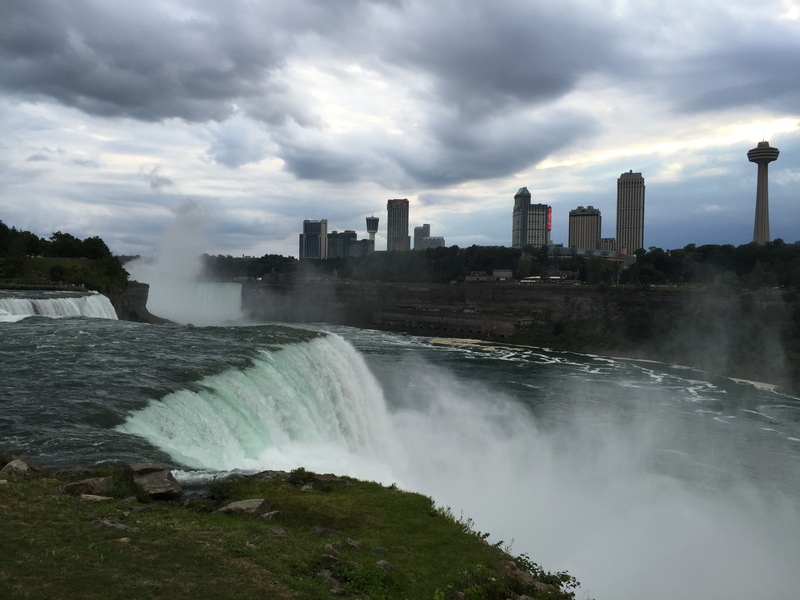 It’s hard to see the huge Horseshoe Falls from the American side, it looks so small in the distance. To get to the Canadian side of the river you have to cross the Rainbow Bridge. Canada has a much better view of the falls and we planned to walk across the bridge and see it again, but, oops, we left our passports in the RV. Oh well, I guess we’ll have to see that tomorrow. We had dinner at a restaurant called Top of the Falls and waited for the sun to set. 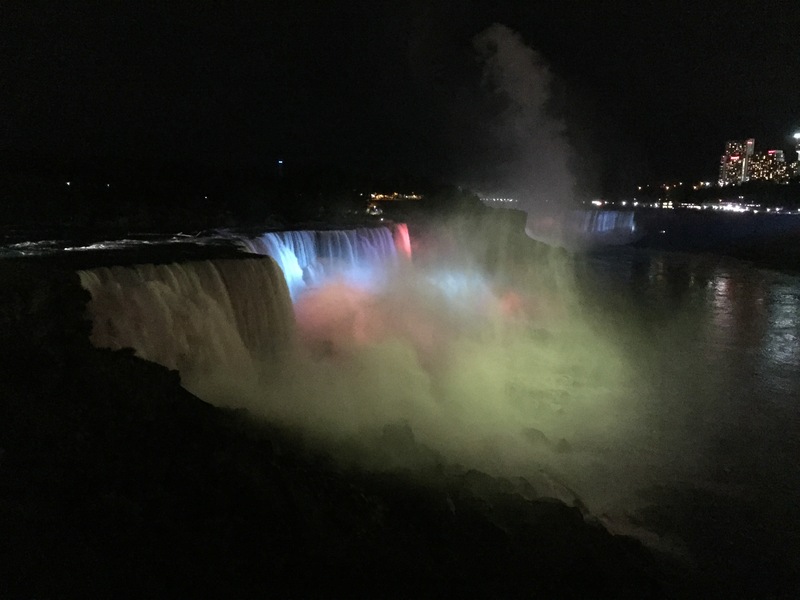 Once it gets dark the falls are lit with color changing lights. It is pretty impressive to see. This entry was posted in August, Daily Post, New York and tagged Bridges, Casino, Casino RV Parking, Niagara Falls, Rainbow Bridge. Bookmark the permalink.